Inspect for signs of termites and for wood decay. Check closeness of trees to foundation for problems from roots. Check basement and crawl space for dampness and leakage following wet weather. Check driveways and walks for cracks, settling and soil erosion. Clean area wells, window sills and storm drains. Check doors, windows and trim for finish failure or rotted wood. Check for broken glass, damaged screens. Check hardware and lubricate moving parts. Check caulking at doors, windows, and all openings and joints between different materials (such as brick). Check siding and trim for damage and decay. Check trim for tightness of fit at joints and caulk. Check for damaged or loose shingles, blisters, roofing sponginess, etc. Check for damage or if paint is needed on gutters, downspouts, hangers, strainers and splash blocks. Clean gutter strainers, gutters, downspouts, splash blocks. Assure that vents are open and properly vented. Check masonry chimneys for cracks (inside and outside) and for obstructions. Check all painted and natural finished surfaces for dirt, finish failure, and for needed repairs. Check all joints in ceramic tile, laminated plastic and similar surfaces. Check caulking around sinks, bathtubs and showers. Check for wear, damage, evenness and sponginess. Check particularly where one floor material joins another (e.g., wood to carpet). Evaluate for replacement or refinish. Check for handrails on stairs. Make sure handrails are properly attached. Check areas where wiring is exposed, and replace at first sign of damage. If fuses blow or breakers trip frequently, electrician should be contacted to determine cause and make necessary repairs. Check condition of cords and extension cords to all appliances. Have entire system (including gas lines) checked by qualified service person. Clean, service or replace filters, humidifiers and dehumidifiers. Unvented gas heaters need to have proper ventilation. Have a qualified service person check. Remove window air conditioners in winter (if applicable). Check for corrosion of plumbing connections and fixtures. Replace all gate valves with quarter-turn ball valves. 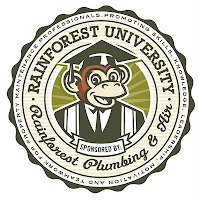 Have service plumber check septic system. Check sump pumps and grease traps. Check gas lines and make sure no material around water heater is blocking air flow. Check to see that water heater vent is not obstructed. Gas water heaters should be elevated on an 18" pedestal by code. Ceiling insulation should be an R-30 or approximately 10 inches deep. Check attic for proper ventilation at soffits and gable to assure air flow. Wall insulation should be a minimum of R-13 or 3.5 in. Floor insulation should be a minimum of R-13 or 3.5 in.